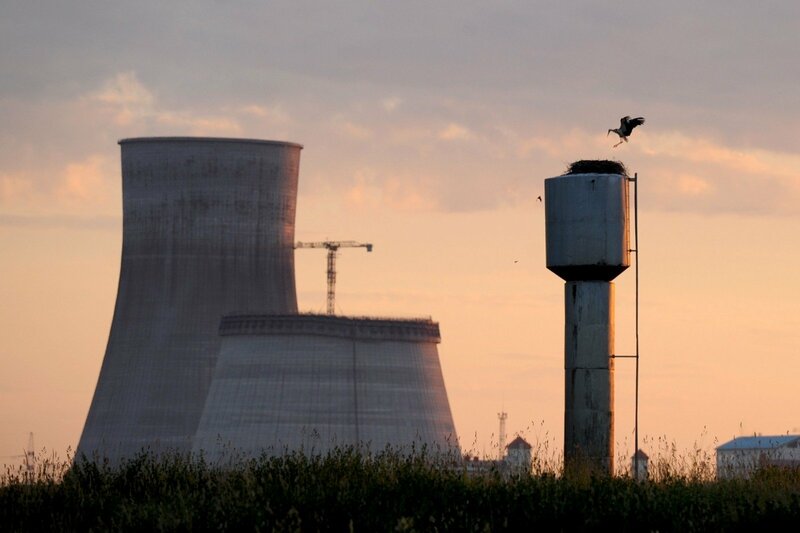 Lithuania has received support from Poland in its fierce struggle against the construction of Astravyets nuclear power plant. There is hope that solidarity between Vilnius and Warsaw will help build an argument to convince the EU to take more resolute steps, Lzinios.lt reported. That two states in the region, in their understanding of the threat posed, declared they will not be purchasing electricity from the Belarussian power plant is, according to politicians, an important positive step. The appearance of this question in the international agenda will once more remind all states of this problem’s relevance. There is hope that solidarity between Lithuania and Poland will encourage the EU to concede that the Astravyets NPP is unsafe, perhaps even forcing Russia and Belarus to understand how poor its economic prospects are. Prime Minister Saulius Skvernelis commented on the Polish government’s representative for energy infrastructure questions Piotr Naimski, who stated that his country will not purchase electricity from Belarus and will dismantle its power lines linked to the country; the Prime Minister pointed out that Warsaw has sent Minsk a message – the EU market may be closed to electricity from Astravyets. PM Skvernelis noted that in talks with European Commission Chairman Jean-Claude Juncker and European Council Chairman Donald Tusk he stressed that the project breaches Lithuanian national security interests and threatens the existence of the state itself. According to Skvernelis the Baltic States are currently seeking a technical solution to prevent Belarussian electricity from accessing the markets. The head of cabinet believes that this can be achieved even before Lithuania, Latvia and Estonia detach from the Russian BRELL electricity system and synchronise with Western Europe. Skvernelis explains that Estonia supports the Lithuanian position, with it also being viewed positively by Germany and Sweden, while discussions on the matter continue in Latvia. According to MEP Petras Auštrevičius the Polish decision only confirms that the discussion on Astravyets NPP is expanding and the Belarussian government’s effort to portray the project to the international community positively are fruitless. The politician stresses that there is growth in regional solidarity, with a common stance emerging, which will prove beneficial to all states involved. He states that Poland is well aware how serious the situation is, particularly given that the Astravyets region is also home to an ethnic Polish community. At the same time Auštrevičius admits that Poland is likely to expect Lithuanian support in return at some point. At the same time the MEP urges not to rest on the laurels of success because a two state initiative is not enough to halt the construction of Astravyets NPP, given the strong interests backing the construction effort in Belarus. Only a joint EU position is likely to be taken seriously by the stakeholders involved, but this will require effort because the EU has yet to contribute to the discussion. The vice chairman of the Seimas Committee of European Affairs Andrius Kubilius of the Conservative party mentioned that Lithuania intends to follow the Polish example of enacting special legislation on Astravyets NPP. It is to specify that the power plant is unsafe and thus its electricity will not be allowed into the common system. According to Kubilius the Polish initiative to do so was both out of security concerns and solidarity with Lithuania, with Poland having long been concerned over Russian or Belarussian electricity gaining access to their electrical grid through Lithuania. Kubilius concludes that the joint stance of Lithuania and Poland, as well as an EU wide decision to not purchase electricity from Astravyets would make Russia and Belarus realise that the power plant’s economic prospects are exceedingly poor. Vilnius University Institute of International Relations and Political Science lecturer Linas Kojala believes that neighbourly solidarity serves to show how interlinked Lithuanian and Polish strategic goals are, for example in energy infrastructure, even given the overall cool relations. The expert notes that Lithuania’s objective was to bring the question of Astravyets into the international agenda, making it an issue of the EU or even NATO and not just Lithuania. At this point it is now possible to expect further steps, particularly in security standard oversight and general international monitoring. Kojala also points out that Polish support for Lithuania should be a blow to the power plant itself because it is fully clear that it will not pay off if it will operate only in the Belarussian market. The expert reminds that the question of profitability was one of the most significant in halting the construction of Kaliningrad NPP.